This report, a collaboration between the Johns Hopkins Institute for Education Policy and Learning First, discusses why school systems need to focus on curriculum as a vehicle of student success, and how that focus would contribute to both improved student learning and equity. 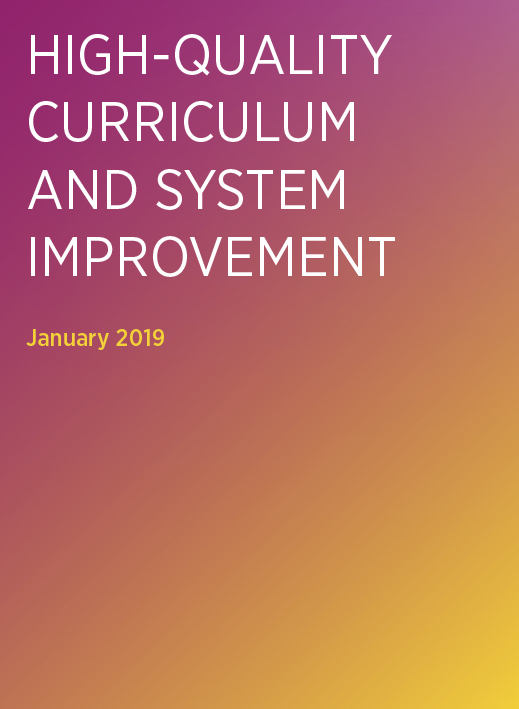 It sets out current approaches to curriculum development and implementation and their implications for school improvement in the United States and Australia. Finally, it provides systems with a way to support and encourage the implementation of quality curriculum at scale.